Panjab FA fell to a 4-1 loss at Kirkby following a positive performance against Liverpool U23’s. Panjab FA started the game well and pressed high during the early stages. With Liverpool passing the ball well, it was the visitors who had the first attempt of the half. Skipper, Amarvir Sandhu tried his luck from an awkward angle and was unlucky to see his effort go just over on four minutes. 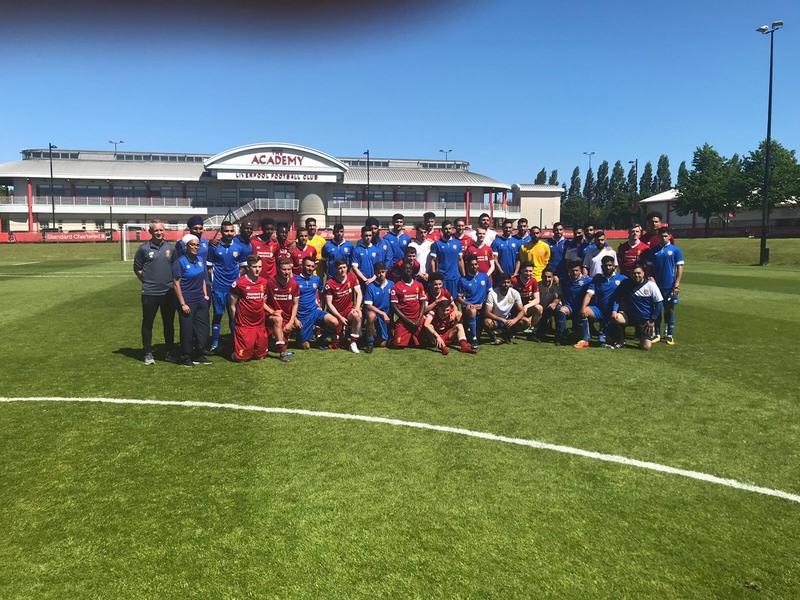 But Rueben Hazell’s side soon took the lead thanks to Camen Bhandal who headed the intial saved penalty into the net following an excellent save from the ‘keeper. The dream lead didn’t last long though as Adam Lewis and trialist, Angel, put the hosts infront on the stroke of half-time. But, Panjab FA didn’t give up. Their ruthlessness throughout the second half came to a surprise to Liverpool with several chances going just missing. Abdi Sharif and Glen McCauley saw their two efforts go close for The Reds as Herbie Kane was next to be on the scoresheet – converting a long-range effort. A fifth from Bobby Adekayne secured the win for Liverpool, just before Reuben Hazell’s men saw a great effort cleared off the line in the dying minutes. An overall good performance from the team in what was a ground-breaking fixture for Panjab. Next, we face Jersey on Saturday.